Everyone who calls Indianapolis home should take a day to visit the Indiana State Museum. The facility is dedicated to showcasing the history, art, and culture of the Hoosier state. The building itself is an exhibit of the natural resources of Indiana, constructed from limestone, sandstone, bricks, steel, and glass. Inside are three floors with rotating exhibits. This year is Indiana’s bicentennial, and the museum is celebrating that anniversary in style. Check out the exhibit entitled “200 Years of Indiana Art: A Cultural Legacy” and see both historic works and those by contemporary artists, working across the state in media ranging from paint, sculpture, textiles, and mixed media. The bicentennial is also celebrated in the exhibit called “Indiana in 200 Objects”. These represent the history and culture of the state, from a piece of bedrock to Chuck Taylor’s own Chuck Taylors. A very special object is displayed at this Indiana real estate location. Lincoln’s mallet, which he used for driving pegs into furniture, is on display until December 31st, 2016. The kids in your Indianapolis home can have a blast at the museum, with programs for schools, homeschoolers, and families. The Family Backpack program gives families an enhanced experience of the galleries, including hands-on activities. Budding paleontologists will especially love the Fossils Family Backpack. Kids can have a blast over the summer at museum day camps. 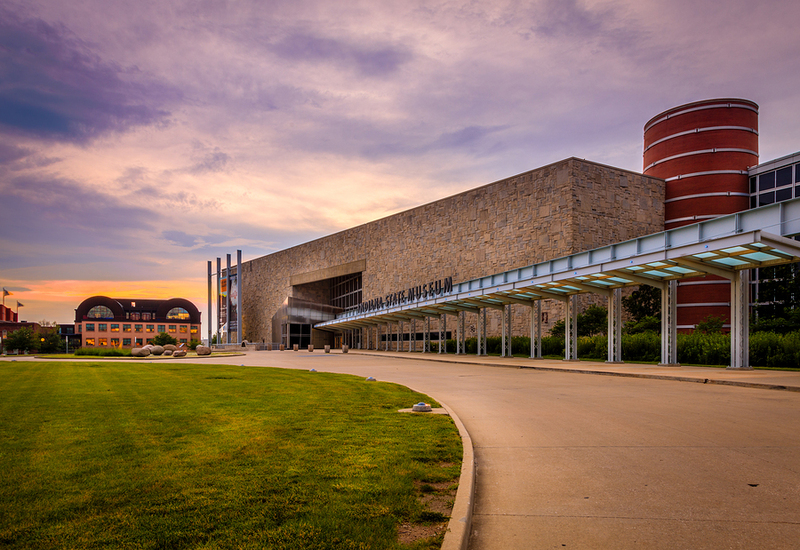 The museum is open Monday through Saturday from 10 a.m. to 5 p.m. and Sundays from 11 a.m. to 5 p.m. Visit Indiana State Museum to get information about current and upcoming exhibits and purchase tickets online.